Jason Voos got his love of cooking from his grandmother who made traditional Polish meals from scratch. His first part-time job was in the seafood department at Wegmans in his hometown of Pittsford, NY. He later became a Wegmans management intern, learning through hands-on rotations in each department. After graduating from Johnson & Wales University, Voos continued working his way up as a cook, culinary team leader, sous chef, and then executive chef. He will oversee the culinary team that provides the restaurant-quality prepared foods Wegmans is known for, with mix and match self-serve food bars, subs, hot soup, fresh sushi, The Pub, and more – all for in-store dining or takeout. 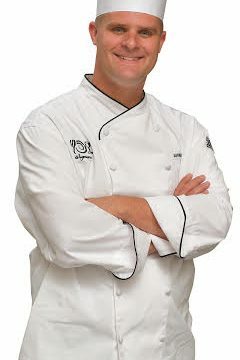 Chef Voos lives in Louisa.